Although gambling is decidedly legal in the United States, not all websites that offer online gambling have legal permits. Besides, gambling especially casinos are strictly regulated in the US, perhaps even more so than in other countries in the world. The same cannot be said of online gambling. Unlike countries in Europe and in the United Kingdom, online gambling in the United States has not merited any attention yet. In fact, there is no particular law regulating the online gambling process. New developments for 2007 - there's one poker site that has found a way to allow players from the United States to play legally and I'll post the link shortly. This can be quite confusing for online gamblers. While they won’t get into too much trouble because as mentioned, states are just starting to develop regulations for online gambling, gamblers are of course still reluctant to participate if there are potential legal issues. Basically, only operators of online gambling sites can get into trouble if they don’t have licenses. Players are not actually prohibited to participate in online gambling games although of course there will be risks to their money if they choose to play on sites that don’t have permits. Another risk that players on online gambling sites that do not have permits is the fact that their personal information will be an open book to the operators of the site. If the site turns out to be bogus, this will pose a great risk on the player… that is if he has not already lost his privacy to online hackers which can easily hack the information. Most states are already quite eager to legalize online gambling. However, the government is very cautious on the subject because online gambling sites can be used by money launderers for their illegal operations. So far, there is no single law in the Unites States that deems playing in online casinos illegal. However, the Wire Act, which is often used or cited in reference to illegal online gambling has a section which says that people who are engaged in the business of online gambling can be fined or imprisoned but the act of course only covers the individual who presides over the business. One of the bills that are filed in Iowa by James Leach, inhibits people to gamble online although there is nothing in the bill that criminalizes the act. Several bills have in fact been proposed, targeting online wagers and online gambling. There are however no bills that have so far targeted the players. It seems that although some would like to discourage the proliferation of gambling sites and the participation of people in online gambling, no one wants to make it a criminal act. For some states, online gambling per se is illegal but the letter of the law does not penalize the players but the perpetrators. A long as players remain only players in the game and do not act as a bookie, an agent, or an owner, then there will be no problem with the existing law. 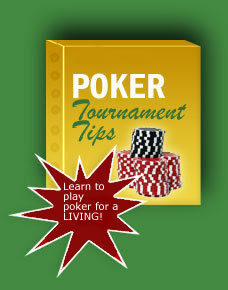 This is of course true with all online games including online poker.